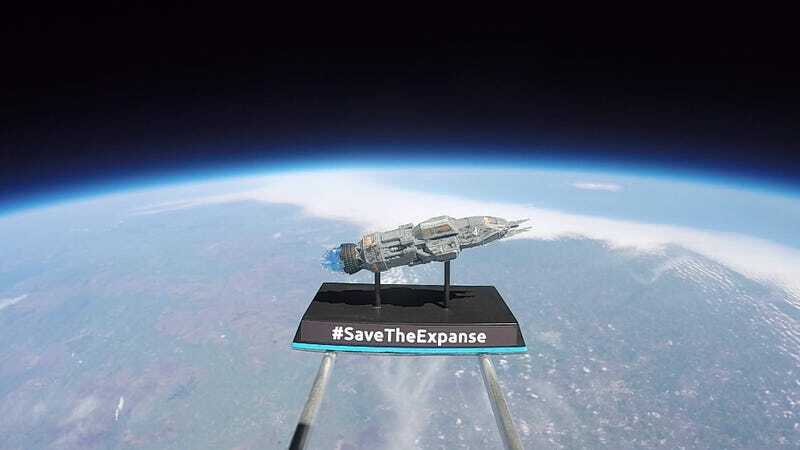 As part of the effort to save The Expanse from cancellation, a group of fans raised $4000 to send a model of the Rocinante to the edge of space. This comes a few days after fans funded an airplane banner with #SaveTheExpanse to fly over Amazon Studios HQ. There’s an initial video of the launch available on Reddit, with a full video supposedly coming tomorrow. If anyone’s interested in taking part of the campaign, they’re coordinating these sorts of things through the subreddit. Hopefully, Amazon’s talks with Alcorn (the production company) are fruitful, and the Roci can keep flying.